Parque de Jogos Comendador Joaquim de Almeida Freitas is a 2002 built football stadium located in the Portuguese parish of Moreira de Cónegos within the Braga District. Home to Moreirense F.C who were promoted to the Primeira Liga during the 2013-2014 season. Parque de Jogos Comendador Joaquim de Almeida Freitas was constructed in 2002 in order to satisfy the anticipated demand of matches in the 2002-2003 season after the club were promoted to the top flight of Portuguese football in the previous season. Reaching the top flight of Portuguese Football crowned a meteoric rise from the lower leagues, with Moreirense F.C achieved back to back promotions from what was essentially the third division. In it’s inaugural season, Parque de Jogos received lots of criticism from visiting teams due to the ineffectiveness of the lightning towers as well as fans who felt that the stadium wasn’t particularly safe. 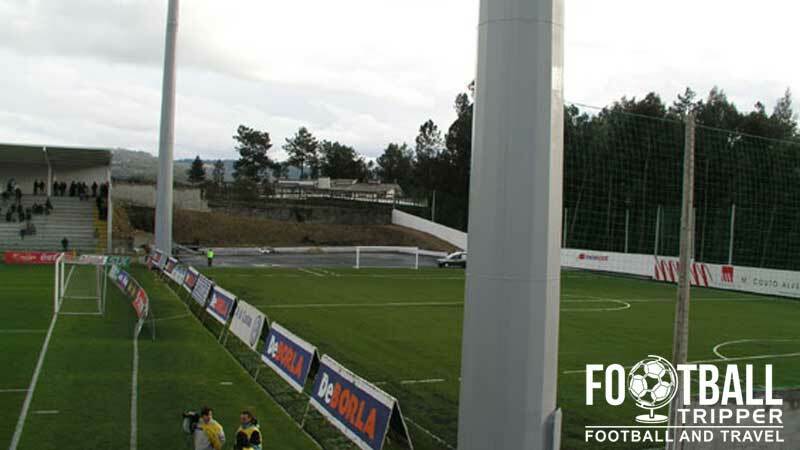 This resulted in Moreirense F.C temporarily vacating their ground so that the Portuguese F.A could investigate further, although they later deemed the facilities to be safe after a short inspection. 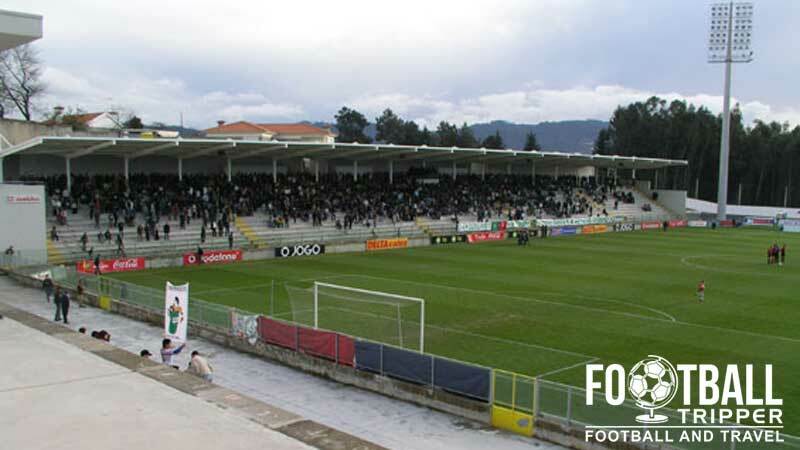 Located within Moreira de Cónegos which is a parish and town of Guimarães with a 2011 population of just 4,853, Moreirense F.C have long been one of the smaller clubs to compete within the upper tiers of Portuguese football. 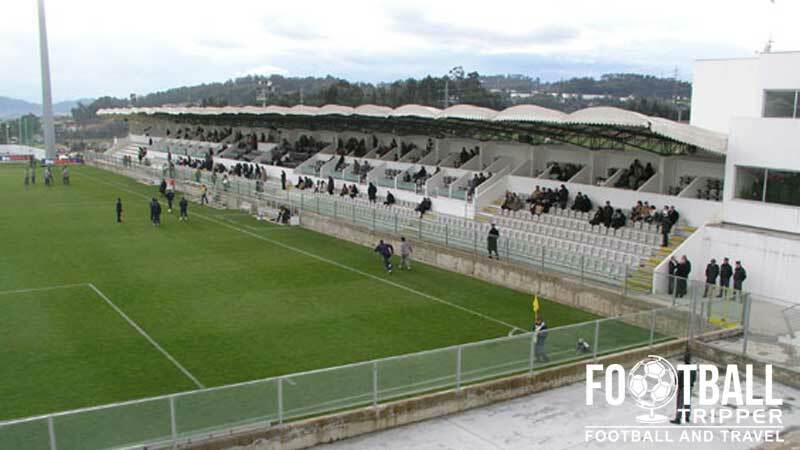 Within the wider Braga District which the town belongs to, the club has fierce competition for football fans. The largest team within the area is S.C Braga who play football at the Estádio Municipal de Braga. Constructed at an estimated cost of $83.1 million, the 30,286 capacity ground was was built within a former quarry, was used to host three group matches of the Euro 2004 – something Estádio Comendador Joaquim de Almeida Freitas would never be able to do with its 9,000 capacity. If any Portuguese Football Trippers has a seating plan for Moreirense’s stadium then please let us know! Joaquim de Almeida Freitas is comprised of four stands: North, East, South and West. If you happen to know where the away fans are located then please do get in touch or send us a tweet. It doesn’t appear as if Moreirense FC have a dedicated fan shop at the stadium, however you could also try and visit during office hours in order to purchase official merchandise. We would link to the online club shop but it’s severely underdeveloped and doesn’t actually allow you to purchase anything! 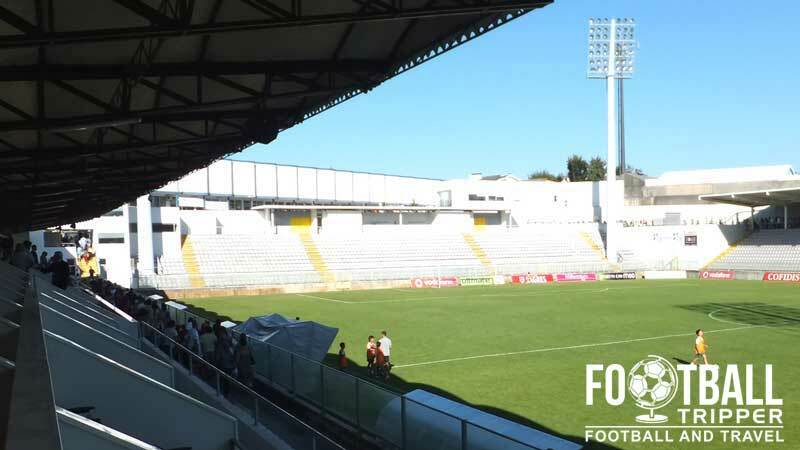 It doesn’t seem as if Moreirense currently offers fans the chance to undertake a stadium tour of the facilities at Estádio Comendador Joaquim de Almeida Freitas. Tickets to see Moreirense FC play at home are best purchased at the ground before kick-off, and will likely cost you no more than €15.00. Like the majority of Portuguese football teams outside of the big three, online ticket sales are still very rare! Parque Joaquim Almeida Freitas is located within the Poruguese parish and town of Moreira de Cónegos which belongs to the Braga District in northern Portugal. Moreirense’s ground sits along the Padre Duarte road just off of the N105 main road. There is a medium sized car park within the stadium complex behind the northern stand however the exact match day parking arrangements are unclear. The closest railway station is Cuca which forms part of the Linha de Guimaraes meaning it is well connected to the nearest major city. The typical single gauge trains which form part of Linha de Guimaraes. You will want to fly into Francisco de Sá Carneiro Airport which is located approximately 50 km away in Porto. Unless you have a rental car which will allow you to drive to Hotel Bienester or Residencial Zé Da Rampa then you will probably want to get the train back to Guimaraes after the match. Within this city there is an expansive range of accommodation options including a Hotel Ibis in the centre, Hotel de Guimarães and Hotel São Mamede.